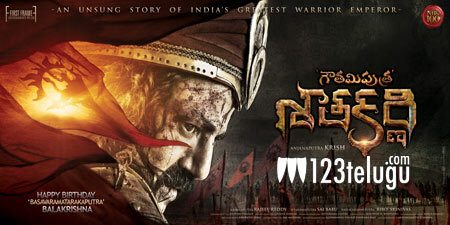 Balakrishna’s magnum opus, Gautamiputra Satakarni is fast completing its shoot. Interesting update now is that the makers have decided to prepone the release the film by a day. The periodical drama will now release on the 11th of January 2017, as Sankranthi special. Shreya Saran plays the female lead in this film which is being made on a huge budget. Produced by Krishh himself and Rajeev Reddy, this film has music by Chittaranjan Bhatt.